The top three fencers in each age category will receive a trophy. I-1. The Central Coast Youth Circuit (CCYC) will consist of three to five competitions scheduled for the fencing season. I-2. The fencing season lasts from August through July of the following year. I-3. All competitions will be held on the central coast of California. As sponsor of the circuit championship, the CCFF will determine which events will be included. I-4. 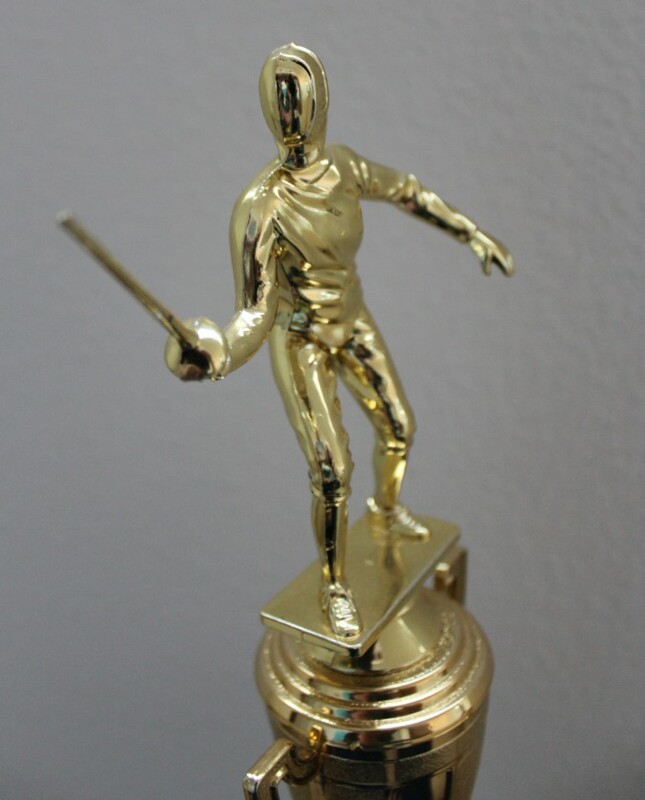 Competitive trophies will also be given to the top three fencers in each age category according to the sum of the points earned at the Circuit events. Competition points are described below. In order to be included in the overall results for the season, fencers must compete in at least two circuit events. II-1. USFA membership is required. A non-competitive membership is sufficient. II-2. Age requirements shall correspond to recognized USFA age requirements. If a fencer is eligible to fence in more than one category, they can select which category they will compete in for a given event. They will only be awarded points for that category and points do not transfer between categories. The fencer’s youngest age category will be assumed unless stated otherwise. II-3. Fencers that have been ejected (“black carded) from any Circuit event will be disqualified from receiving Attendance and Competitive awards in the current fencing season. Fencers may submit a written appeal of this decision to the CCFF Board. III-1. All events will use be run as electric foil. The host organizer should make available for a small rental fee all needed electric fencing gear. III-2. All events require electric foil masks which include the conductive material on the bibs. III-3. Y-14 direct elimination events will be run to 15 touches. Y-12 and Y-10 direct elimination events will be run to 10 touches. III-4. Competitions will be seeded by fencers’ standing on the overall points list. IV-1. Competitive Award scoring for the circuit championship will be based upon Competitive Points earned at each of the circuit competitions. Results from the top 3 competitions for each fencer will be counted. Ties will be broken using the results from the remaining events. Fencers must compete in at least two events in order to be included in the overall results. IV-3. Should a competition not fence off for third place, then the third place fencers will receive an equal portion of the points for 3rd and 4th place (or 30 points). IV-5. If two or more age groups are combined, the results of the competition shall be broken out by each age category for determining competitive points.